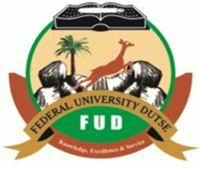 Establishment of Faculty of Medicine and Allied Health Sciences as well as a Micro-Finance bank are the priority of the Federal University Dutse between now and next year,Vice Chancellor of the institution, Professor Jibrilla Dahiru Amin said yesterday. Amin disclosed this during an interactive session with journalist in his office yesterday. He said that apart from the establishment of staff cooperative society ,the university will soon open a micro-finance bank to cater for staff need in the area of provision of soft loan to those in need.